These pretty white flowers (sorry I don't know what they're called!) were separated from a larger bunch I bought for myself this week. 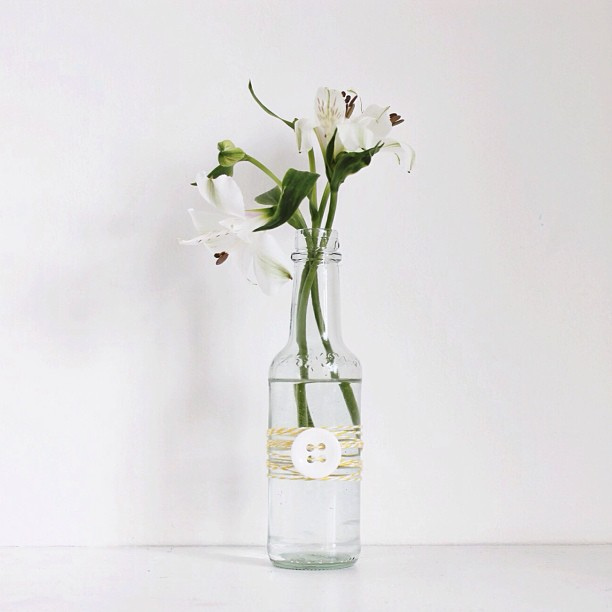 I'm slightly obsessed with saving all my jars and bottles lately, they make such perfect little vases and look quite sweet when decorated with pieces of lace, twine or washi tape too! 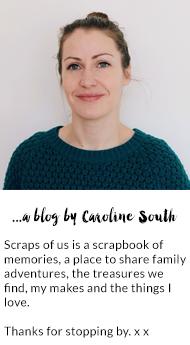 Linking in with lovely Lou of little green shed and her nature in the home series. This is lovely! And such a great idea to use bottles. Need to start buying some posh drinks to get the nice bottles now! They look like alstromeria to me... very pretty too. I've got some in a pinky-red colour on the mantelpiece and they last for ages!